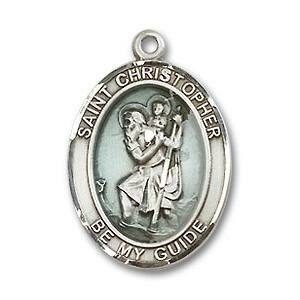 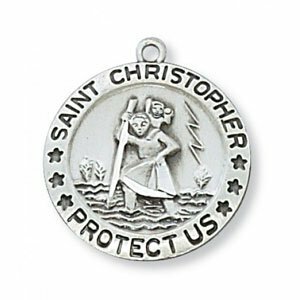 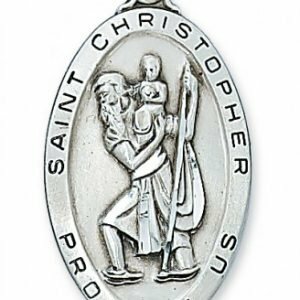 This is a stylish version of the traditional St. Christopher medal. 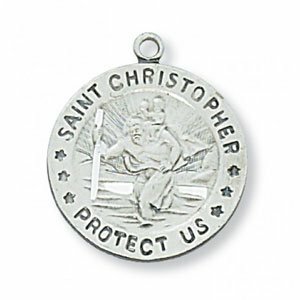 The medal has a unique “cut out” design, with an open back. 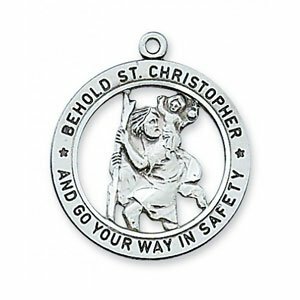 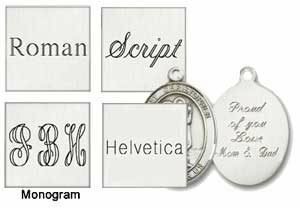 The medal is made of high quality sterling and measures 1″ in diameter. 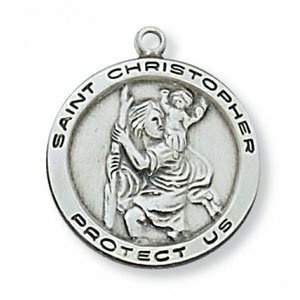 It comes with a 24″ rhodium plated chain.